There are still people who have no idea what Pilates is and where it came from, you might be one of them! 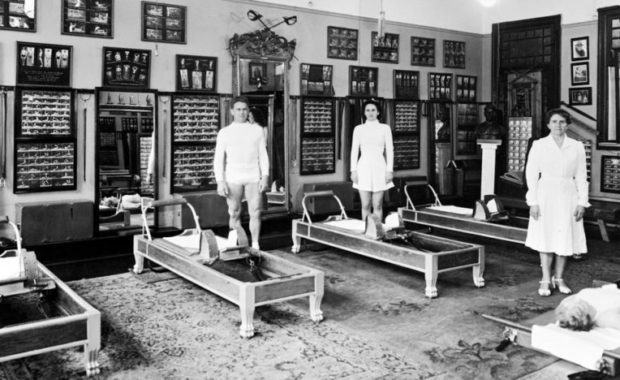 The Pilates machine is called a “Reformer” and it was created by Joseph Pilates over 75 years ago. The design has remained essentially unchanged in all that time along with some of the other Pilates apparatus Joe invented to achieve his life’s mission, to reform the world, one body at a time! This fact highlights just how ahead of his time Joe was, The Pilates machine many people stumble across has been used by thousands and thousands of people to help them become pain free, move better and feel amazing for a long time. If you want to read more about the science behind why the Reformer is such an effective design and method read this .